Wrexham manager Gary Mills says his three new signings will provide competition for his squad. 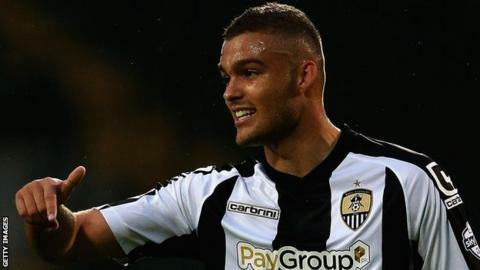 Notts County defender Taylor McKenzie and Wigan winger Danny O'Brien have joined on loan until January. Wrexham have also offered trialist John Cofie non-contract terms and Mills says the trio will add quality to the squad. "All three are very good players and are hungry to be successful," Mills said. "All three bring competition and quality to the squad." Wrexham are sixth in the National League having won their last four games, but Mills was keen to add to the squad ahead of a busy month. "It was important we bolstered the squad, but only if I thought I had the right players to do that," Mills added. "I believe with the three players I've brought in it definitely bolsters the squad. "If we pick up any injuries or suspensions in December, we've got enough cover within the squad to go and cope with the amount of games we're going to be playing." Wrexham host Macclesfield Town on Saturday with defender Javan Vidal still ruled out because of a groin injury.